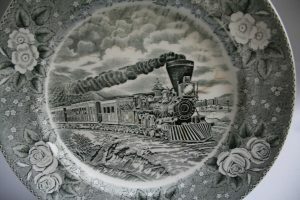 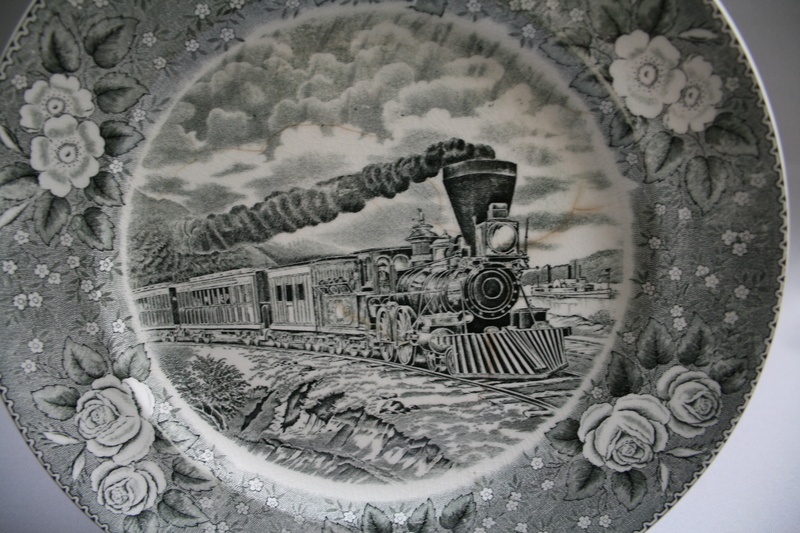 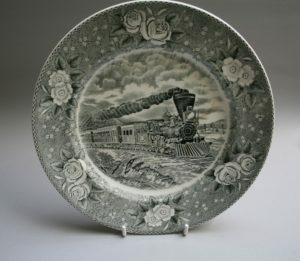 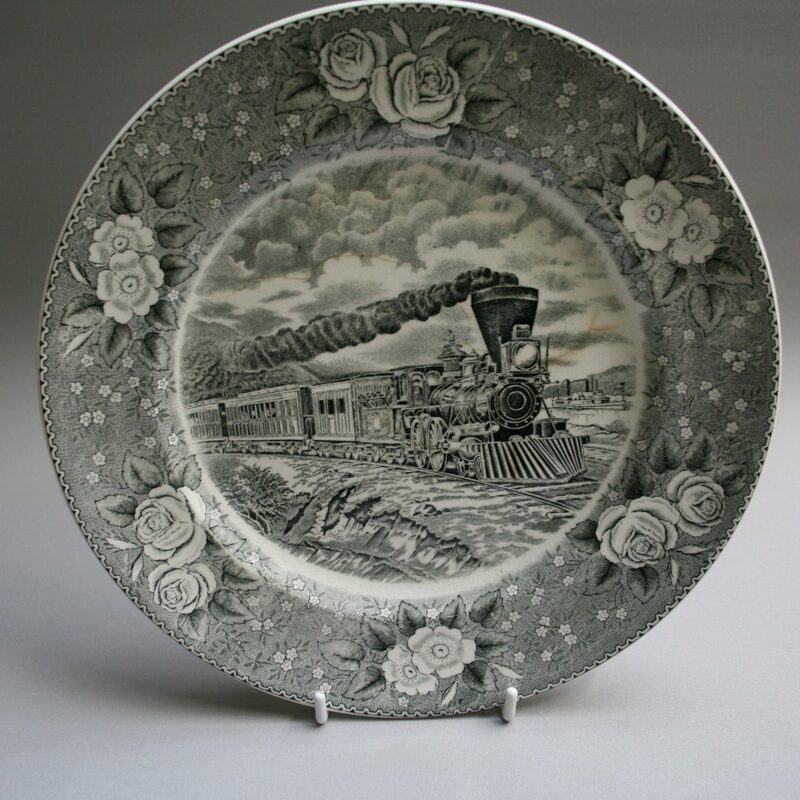 A black and white Adams Pottery dinner plate. 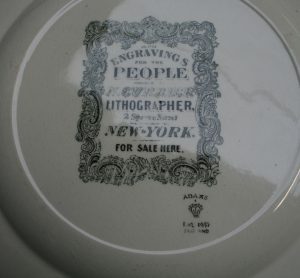 It has an Adams mark for 1914-1940. 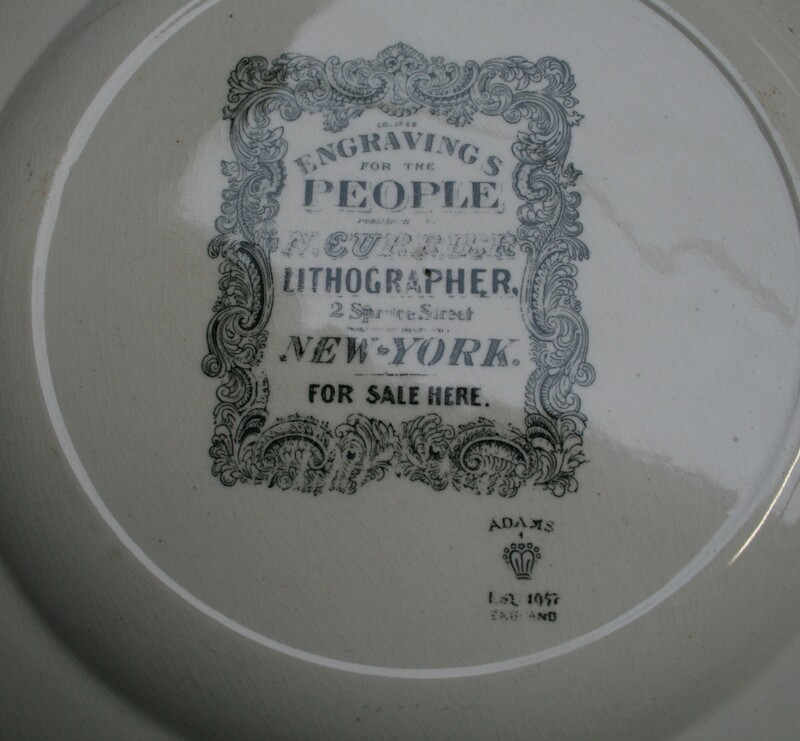 The Lithograph images are by Nathaniel Currier, New York (1813-1888). It is entitled ‘American express train’ and shows an express train and its coaches.